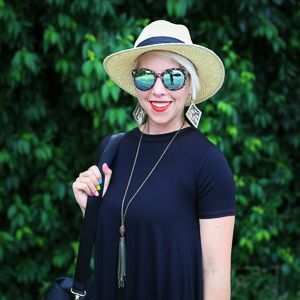 Hi Friends!!! Today I want to share something that is close to my heart. My family and I have put on diaper drives in years past (supposed to be annually, but LIFE), which benefitted local women's shelters. I remember when I first learned about the lack of sufficient diapers there are for babies and toddlers in need...I was aghast. Since then, it's been a cause to which my family and I have wanted to contribute our time and resources helping alleviate. 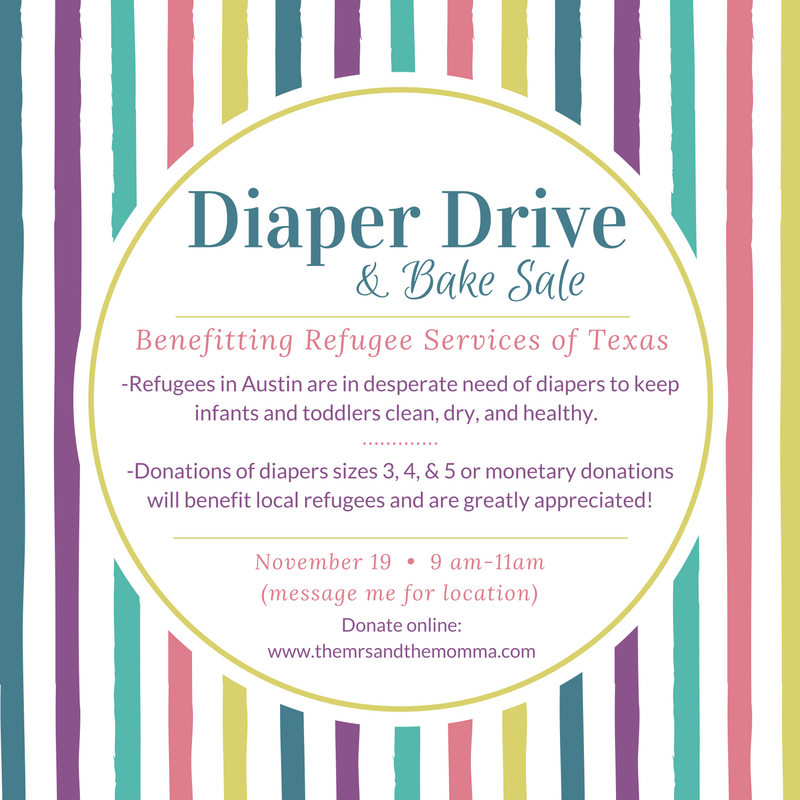 This year, we are once again holding a diaper drive, but this time it will benefit local refugees. We are going through the Refugee Services of Texas organization, who are SO appreciative of any donations of this nature. I spoke with two ladies who work there and both repeatedly emphasized how significant of a need diapers are. It just about breaks my heart to think of little ones having to sit in a dirty diaper for an extended period of time or mothers having to "clean out" and reuse disposable diapers. Did you know that sometimes babies in poverty have to wear one diaper for an entire day?! Additionally, lack of sufficient diapers is a major stress for mothers. There is a dire need for compassion and humanity with refugees, who are trying their best to adjust, integrate, and make the best of their situations. Our hope is that by donating a basic need such as diapers, their stresses of displaced life can be reduced. Our 2016 Diaper Drive will be held on Saturday, November 19, 9am-11am (please message me for our address). For local friends, you may drop off diapers on this day or arrange for a drop-off prior for your convenience. My daughters will also be selling baked goods (yummy, holiday-themed ones! ), which proceeds will go to purchasing diapers as well. For online donations, please use the below "donate" button. Any and all support is greatly appreciated! Our goal is to be able to donate $1000 worth of diapers to the Refugee Services of Texas...and I'm confident we can do it in the next two weeks! Thank you in advance for your support! Local friends can drop diapers off at my home (or arrange pick-up) and come to our bake sale!